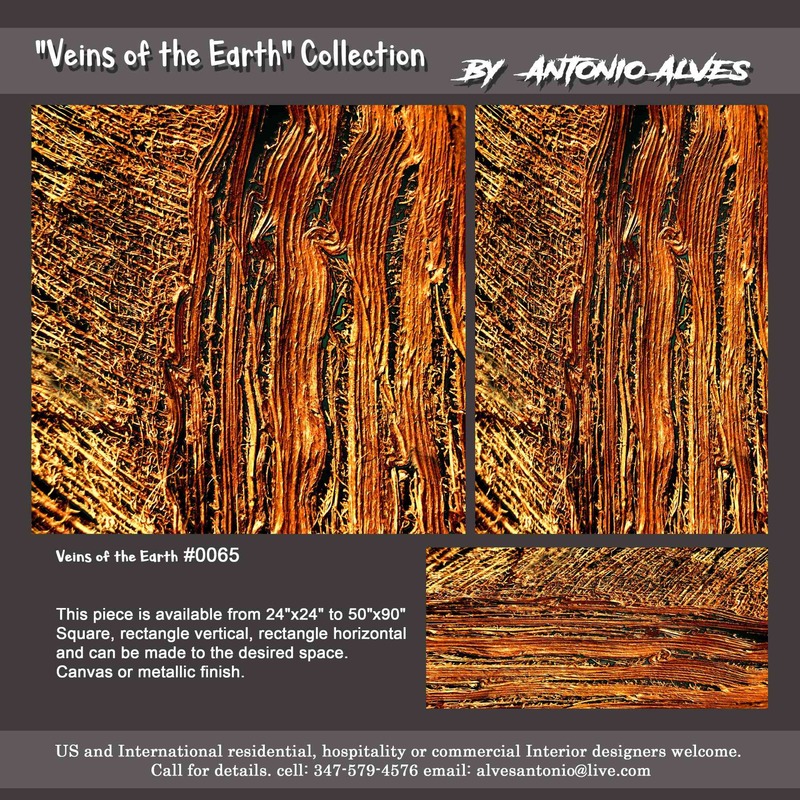 Attention US and International interior designers, my collection is now composed with over 60 pieces on high quality materials. 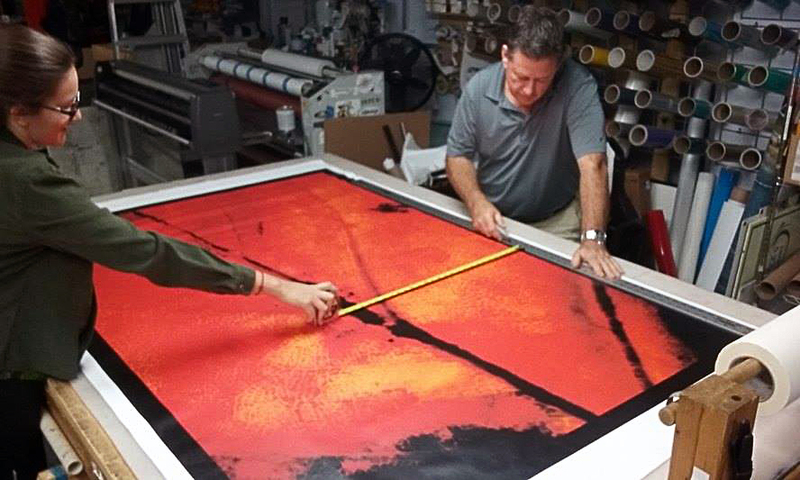 I decided not to mount them this way the pieces can get to you rolled in a shipping tube. 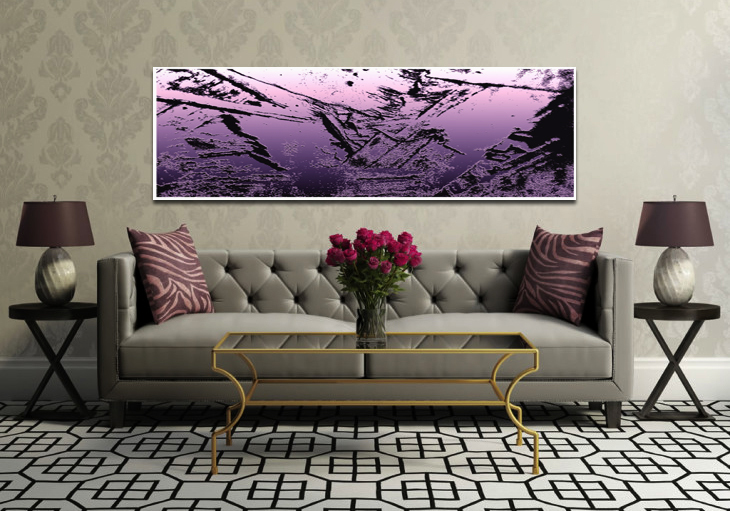 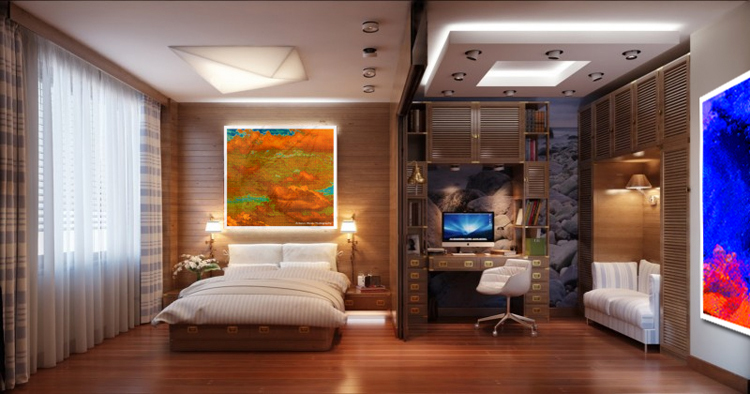 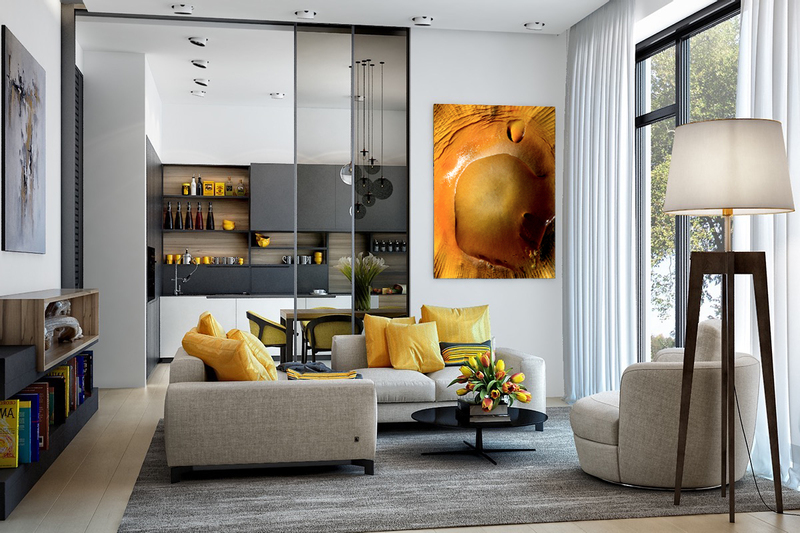 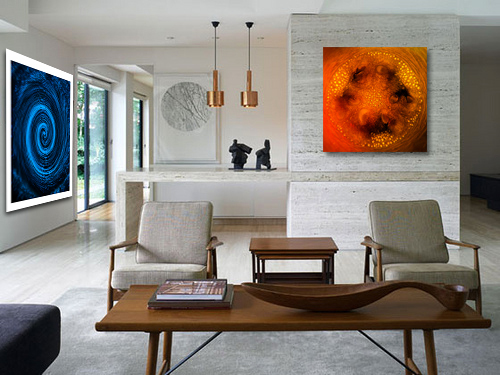 This collection was created based on high energy and I'm sure your clients will love to display this unique pieces on the walls. 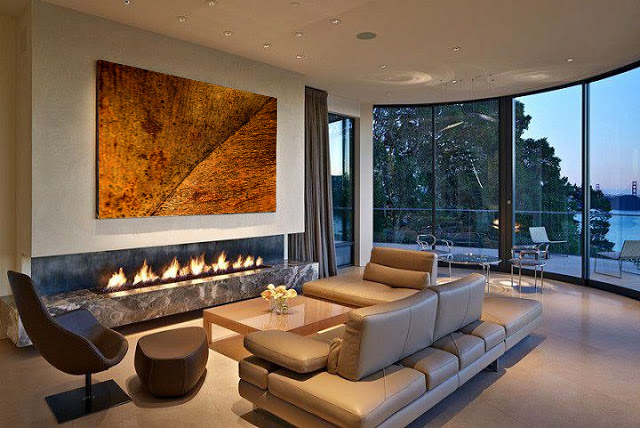 Custom made to your design and size desired to your space layout also a big plus. 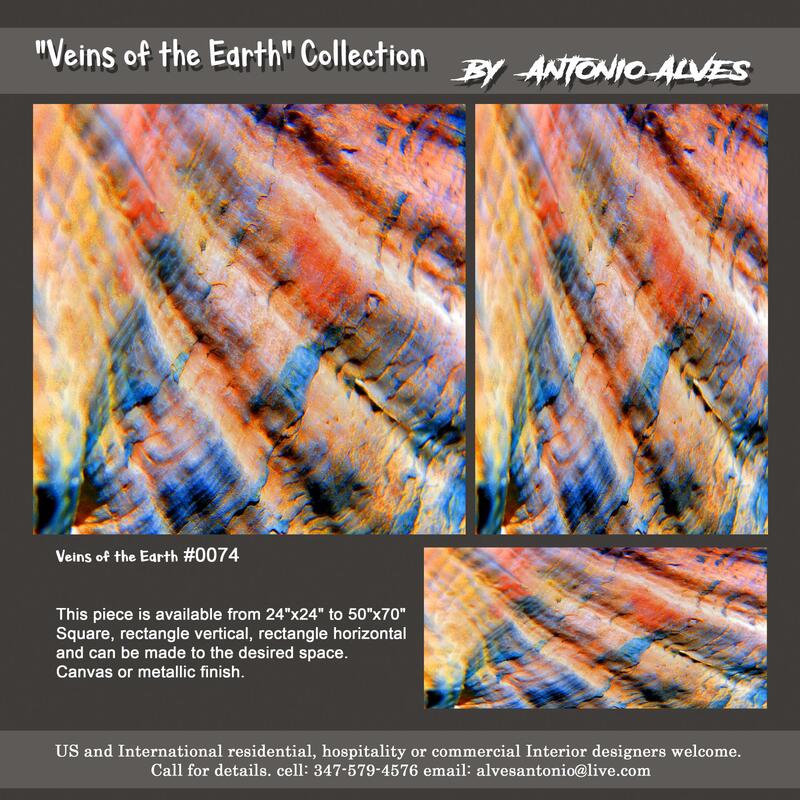 New pieces available from 24x24 to 57x90. 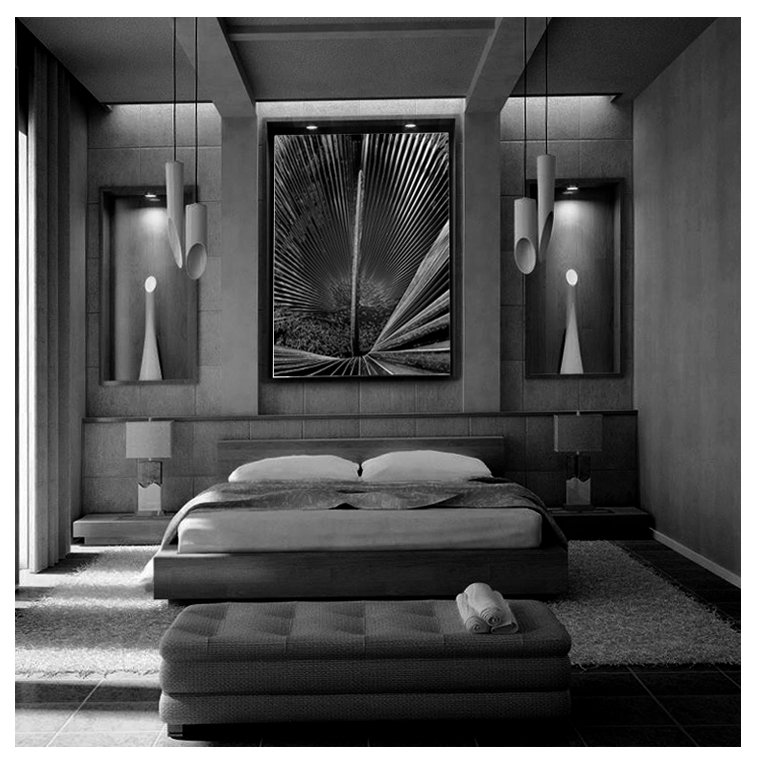 Residential, hospitality or commercial Interior designers welcome. 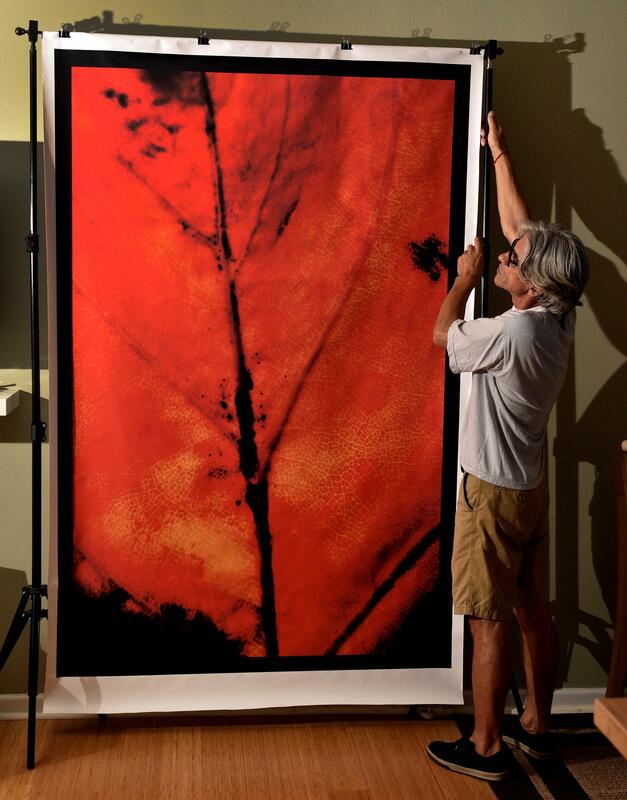 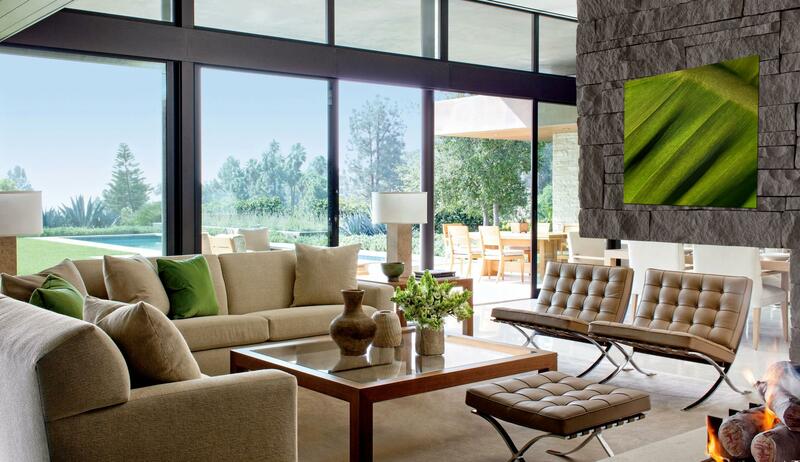 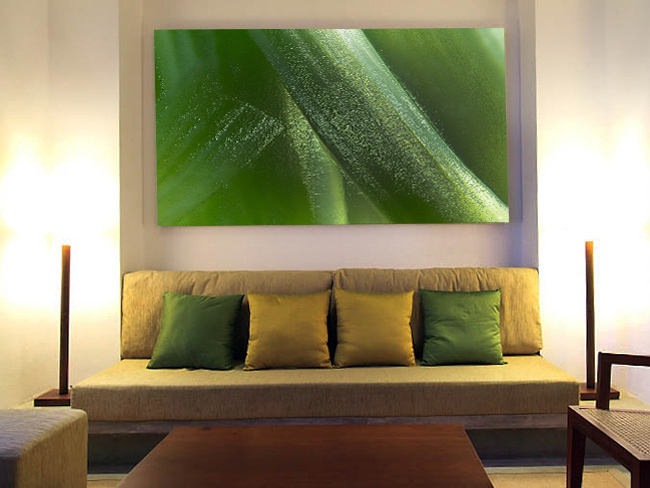 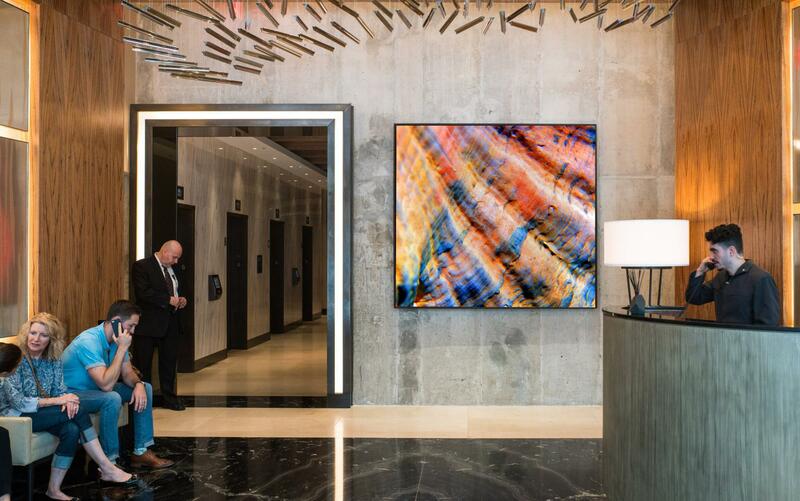 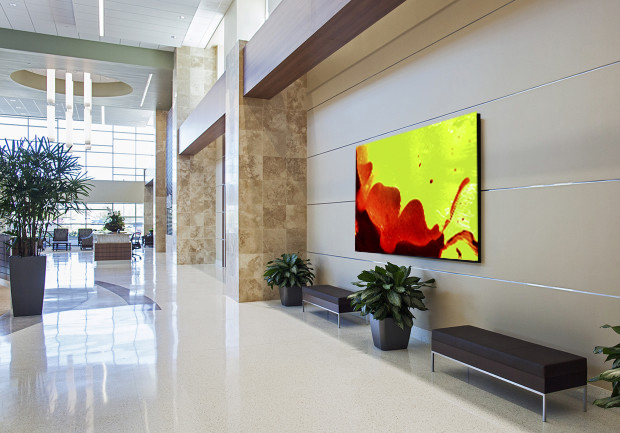 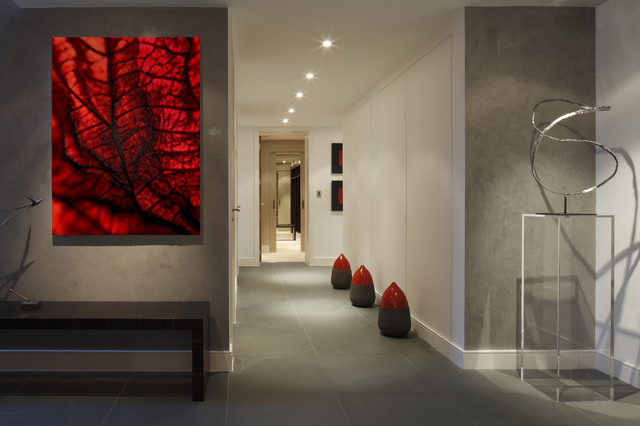 My large pieces are ideal for hotels, lobby's and high profile homes. 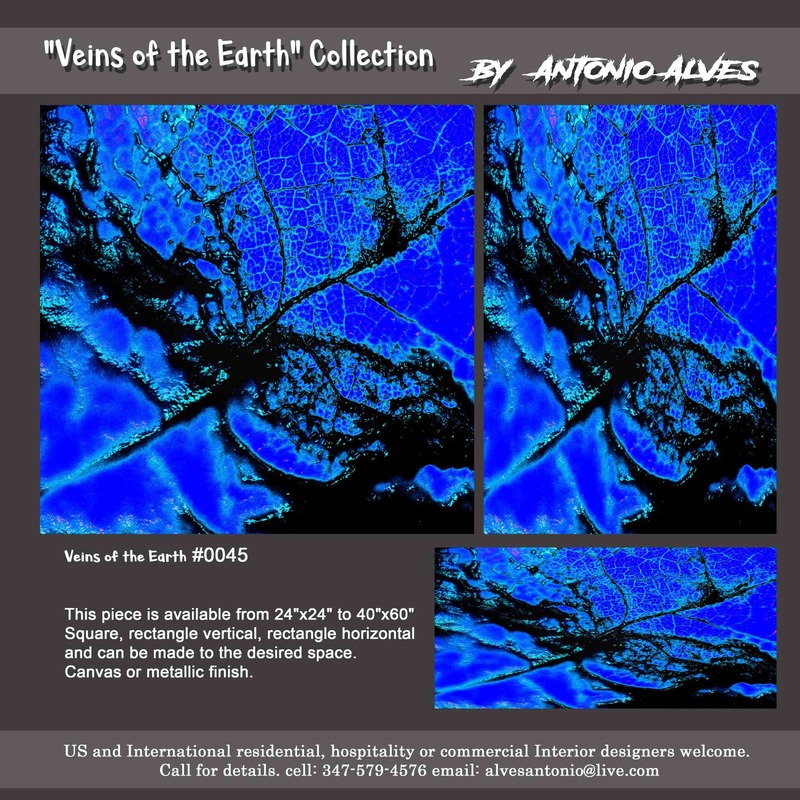 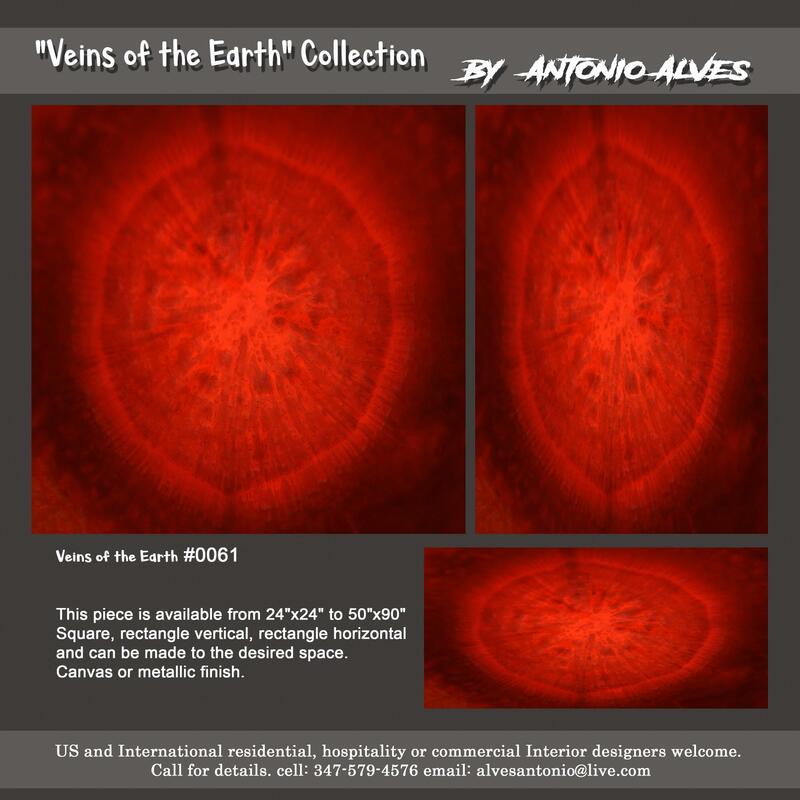 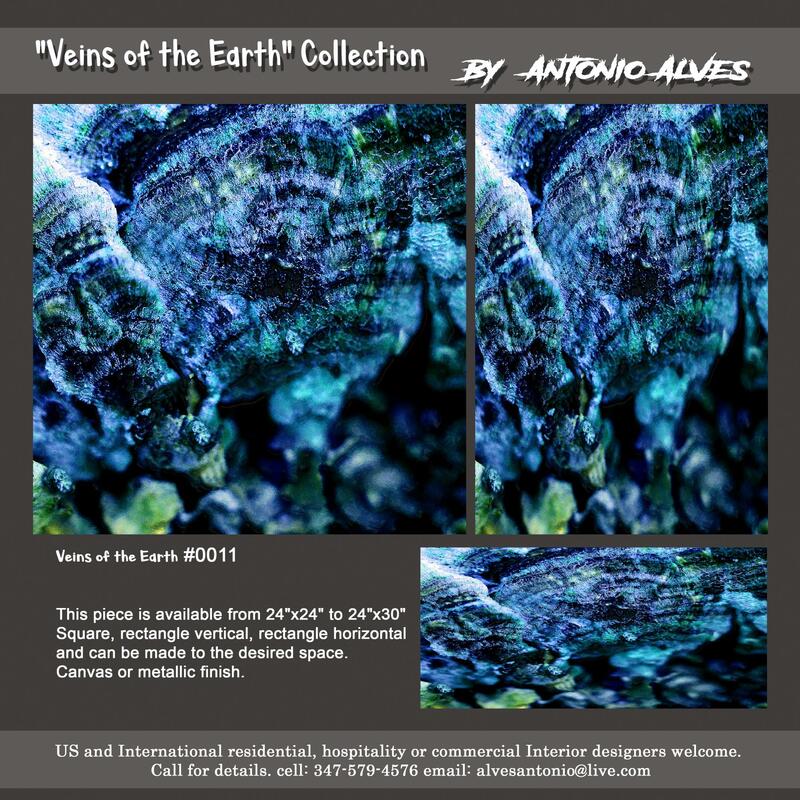 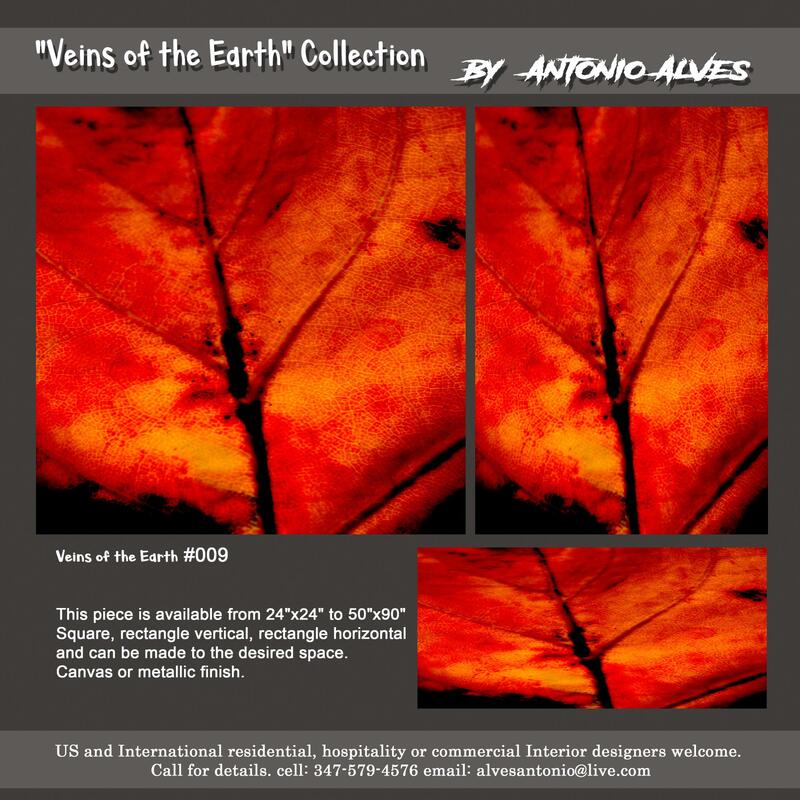 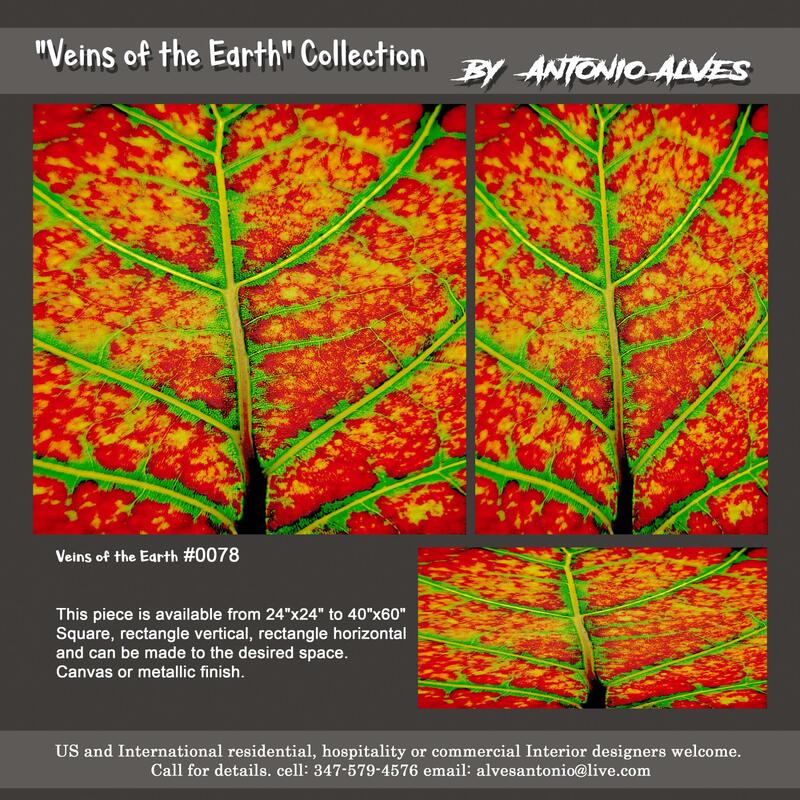 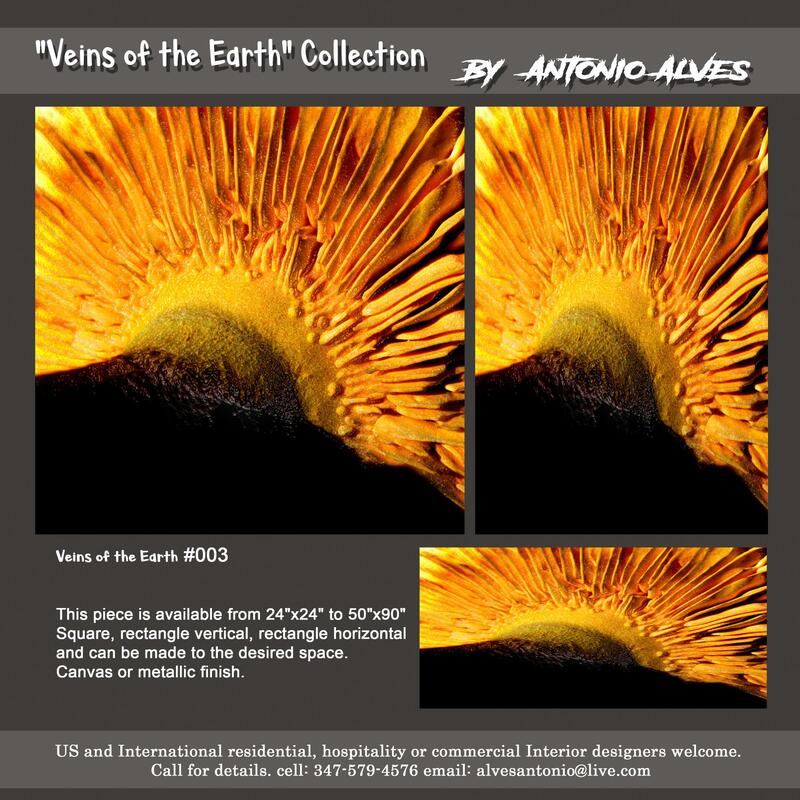 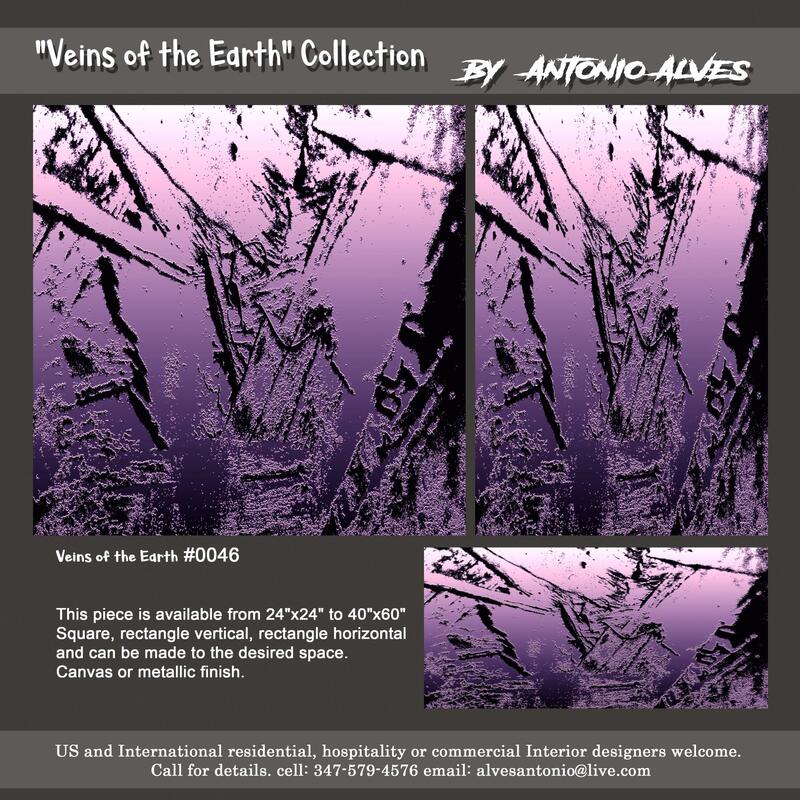 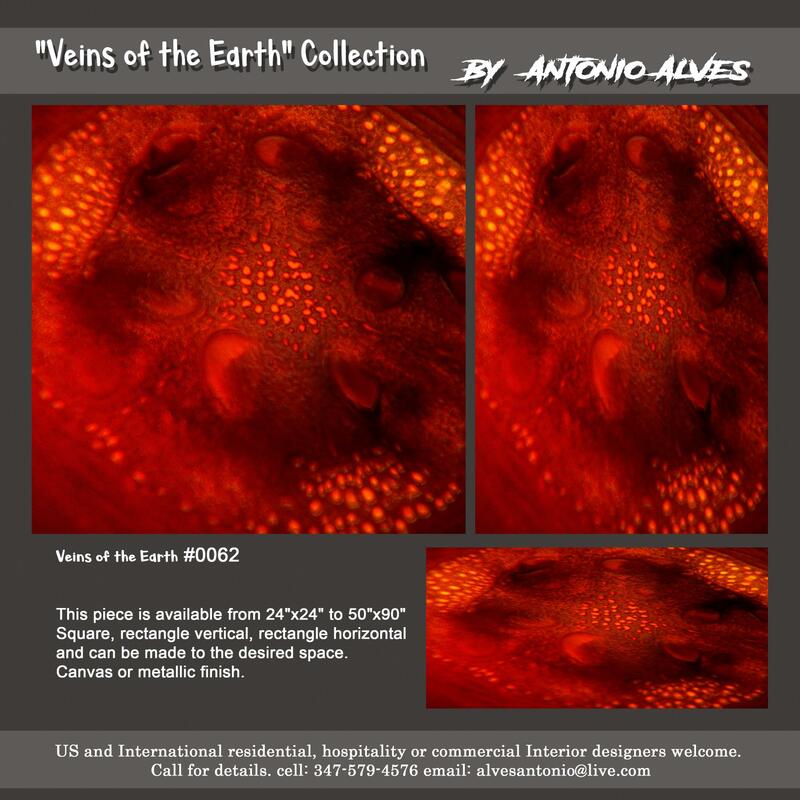 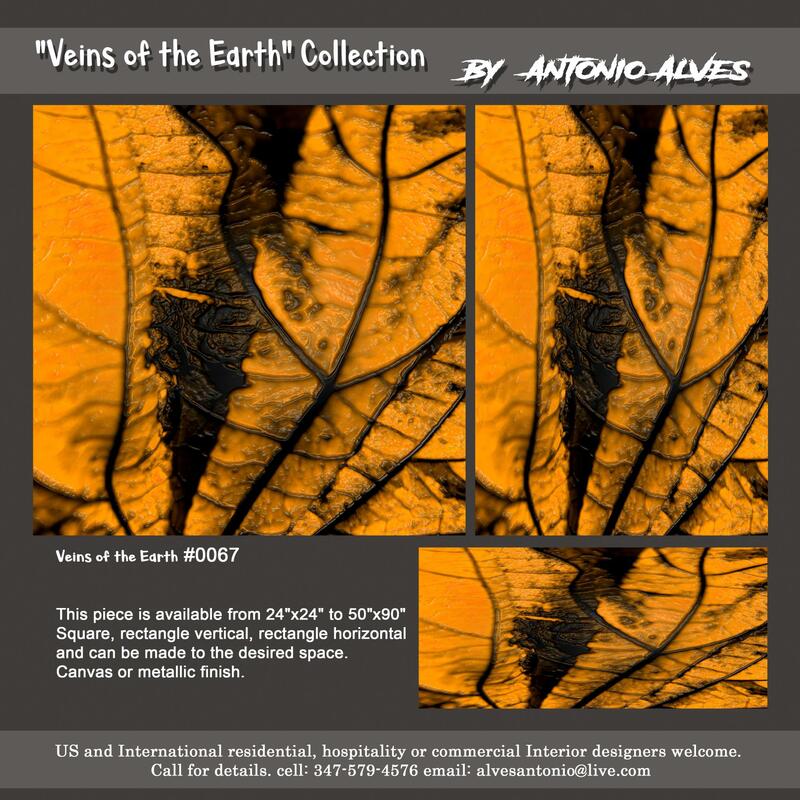 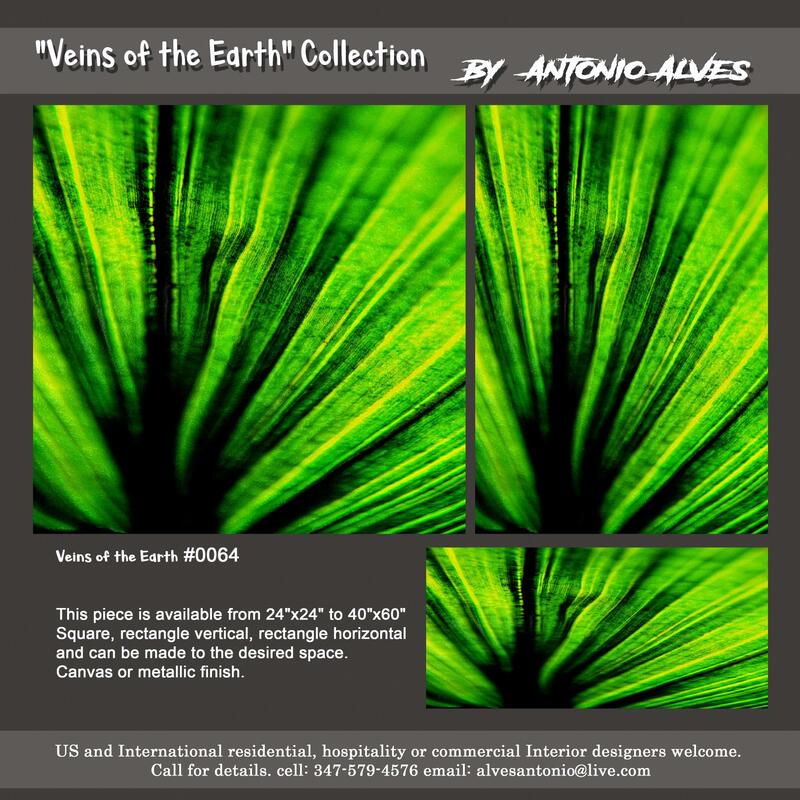 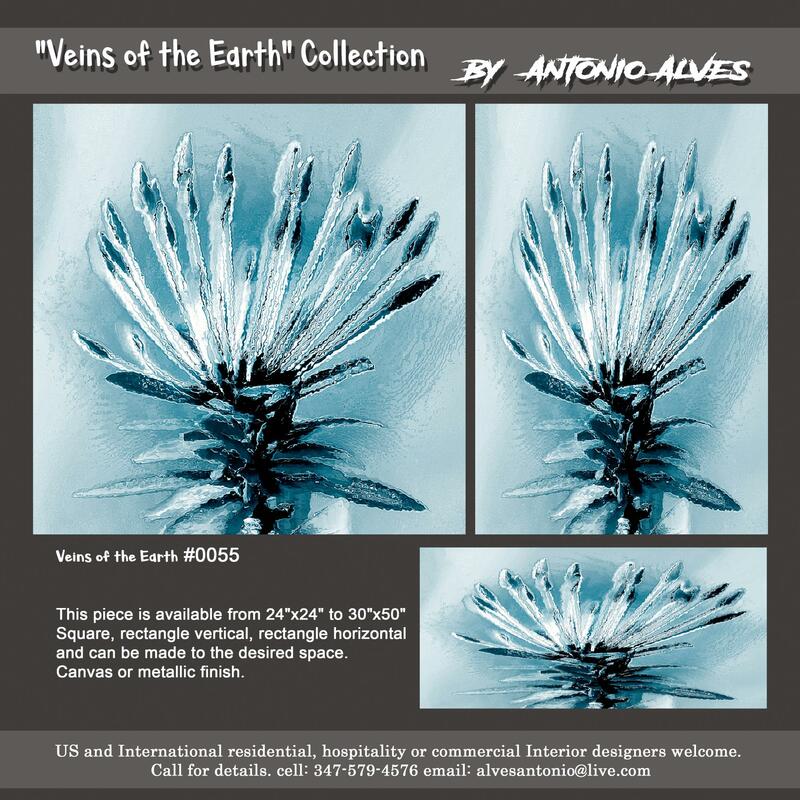 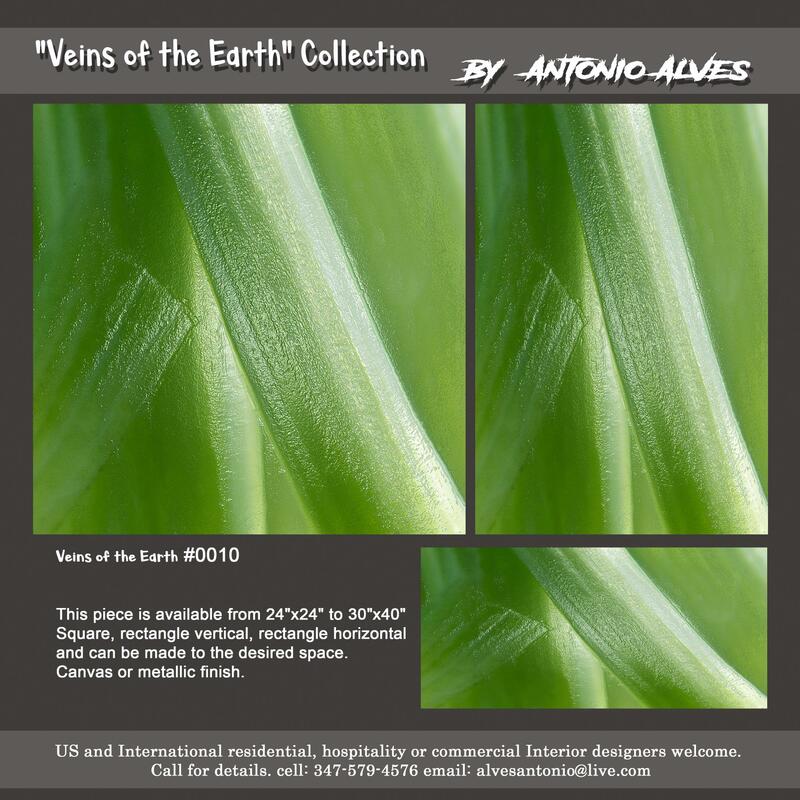 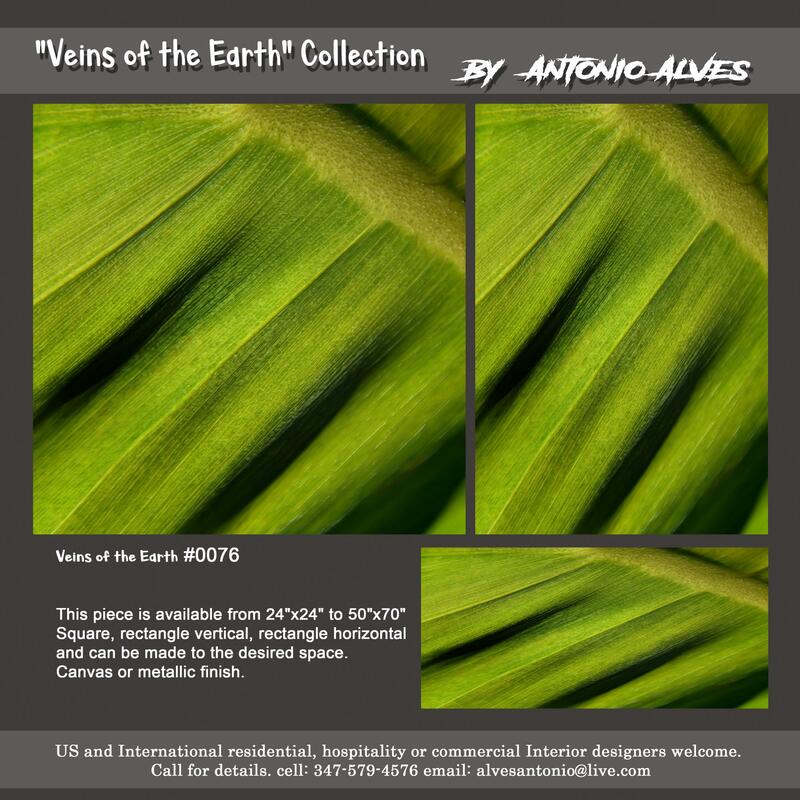 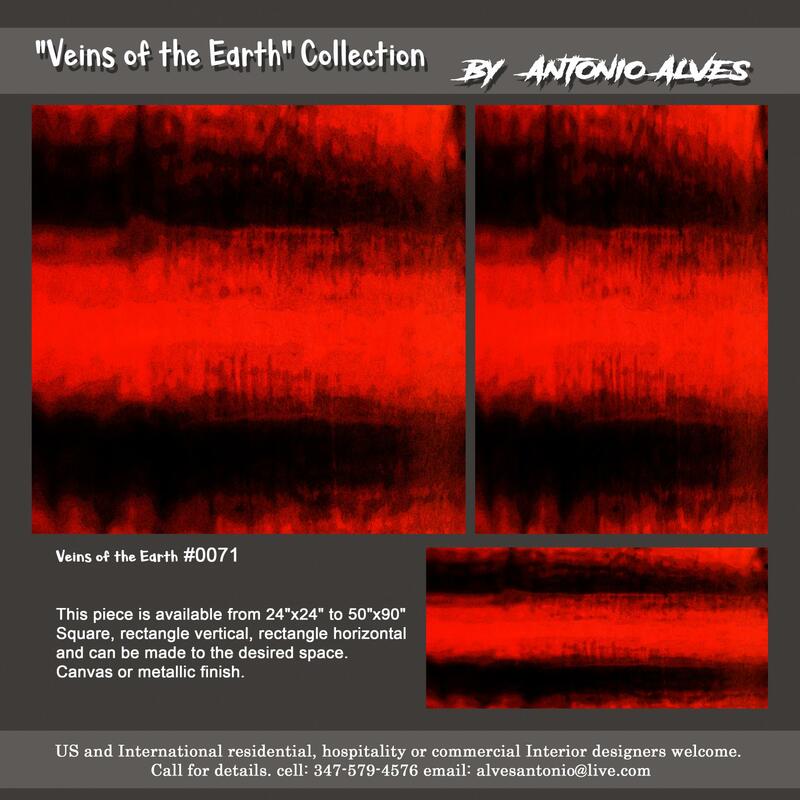 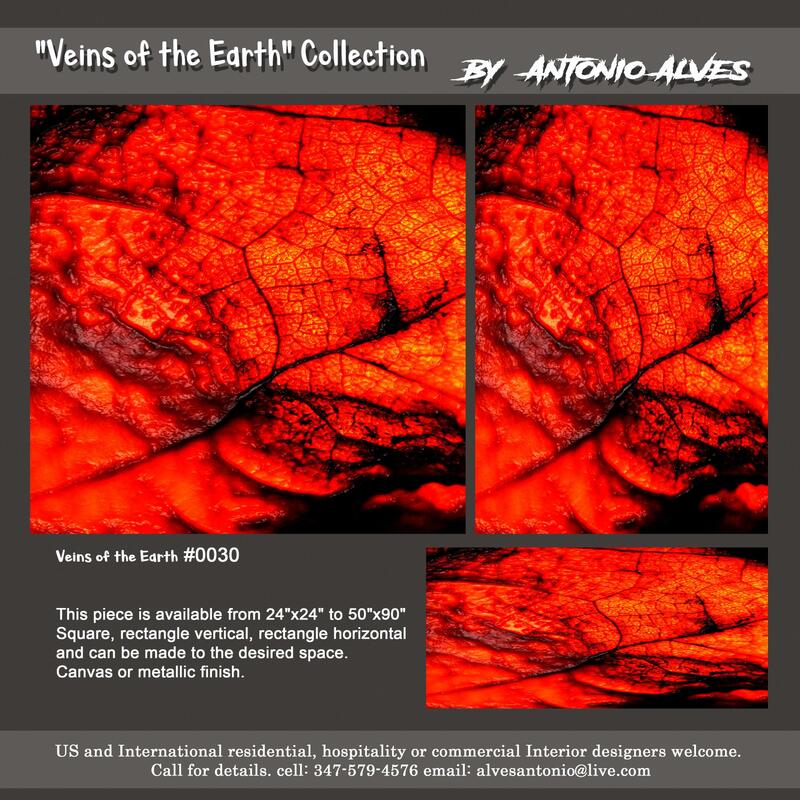 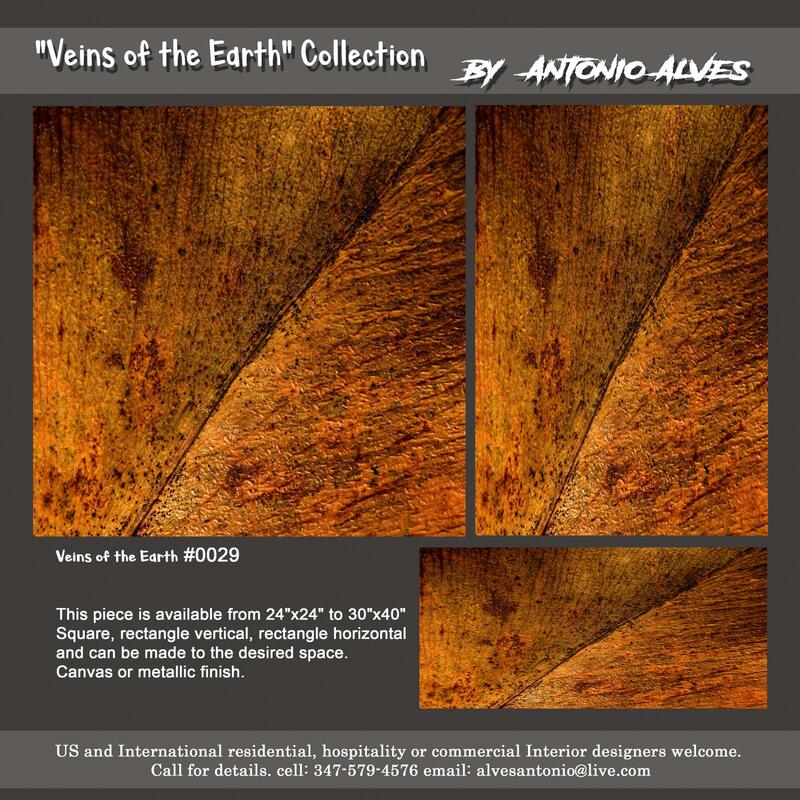 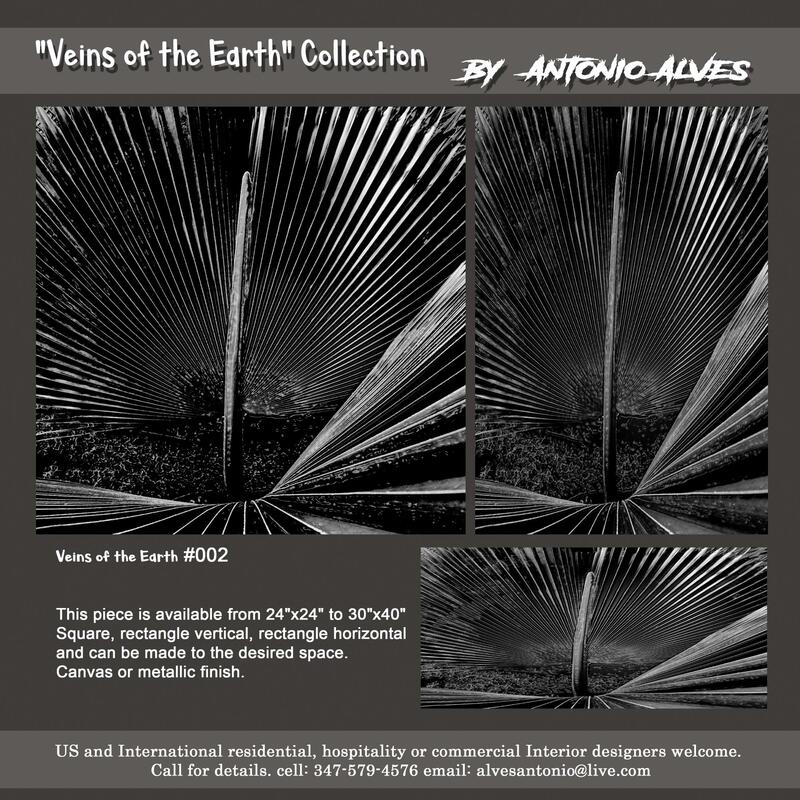 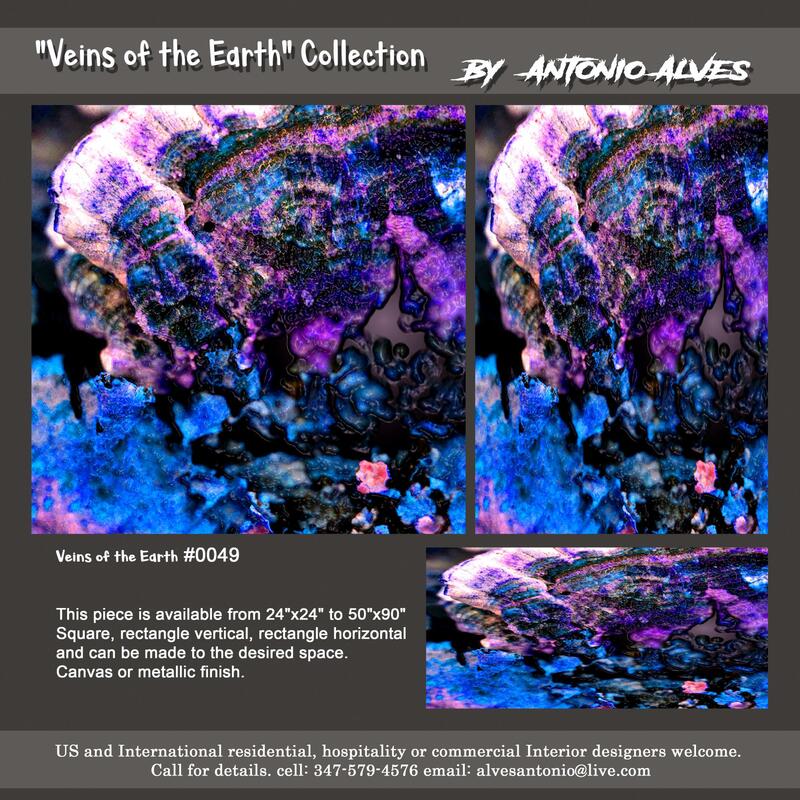 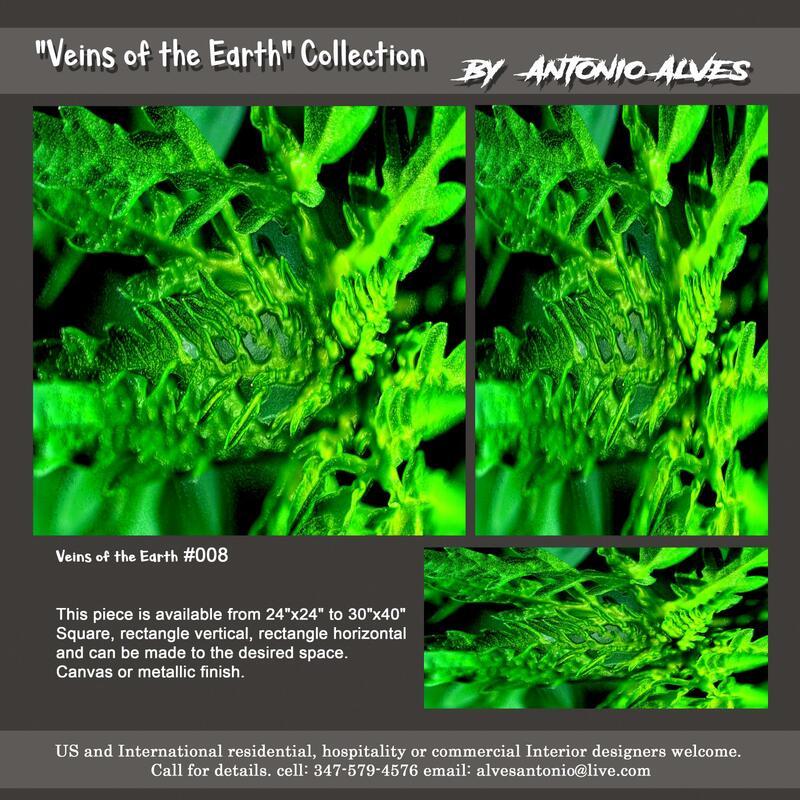 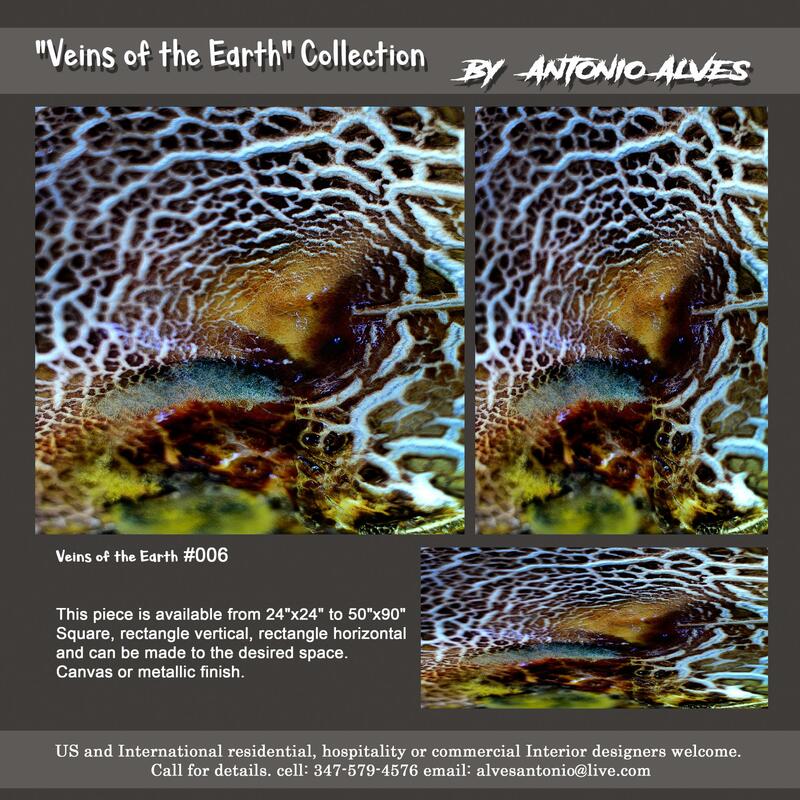 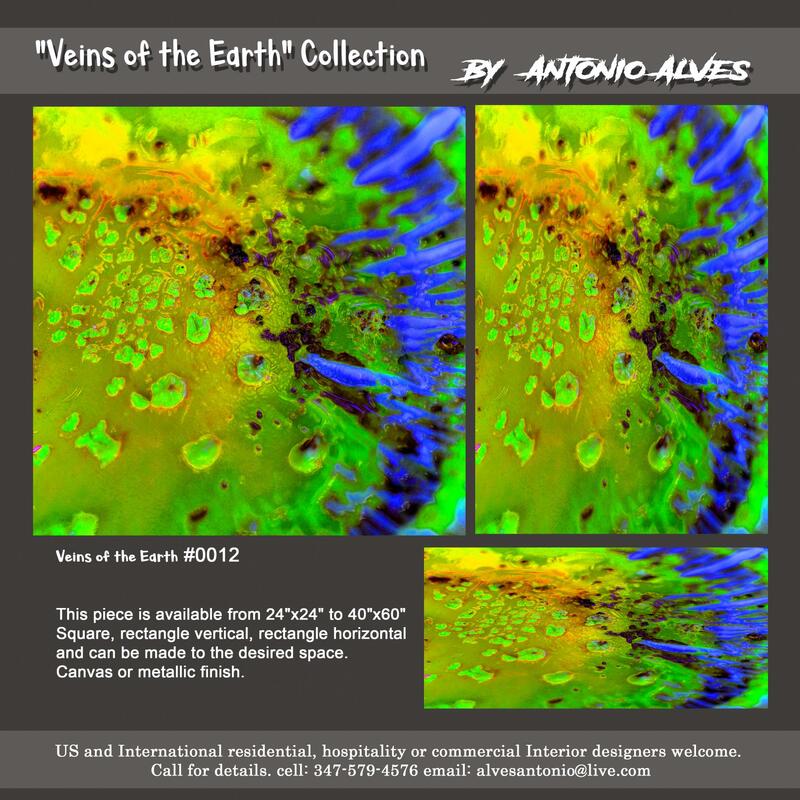 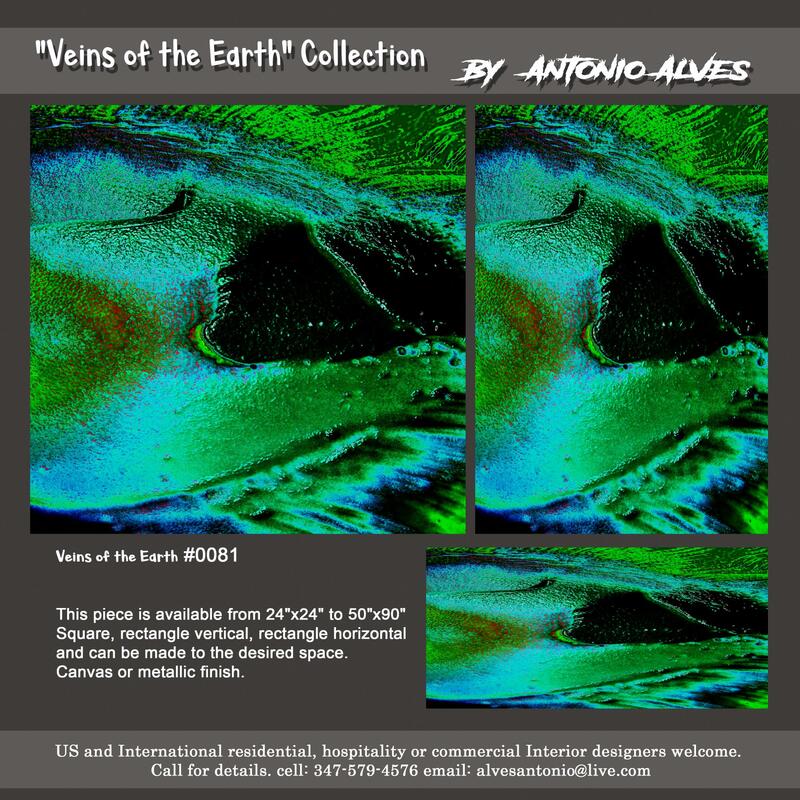 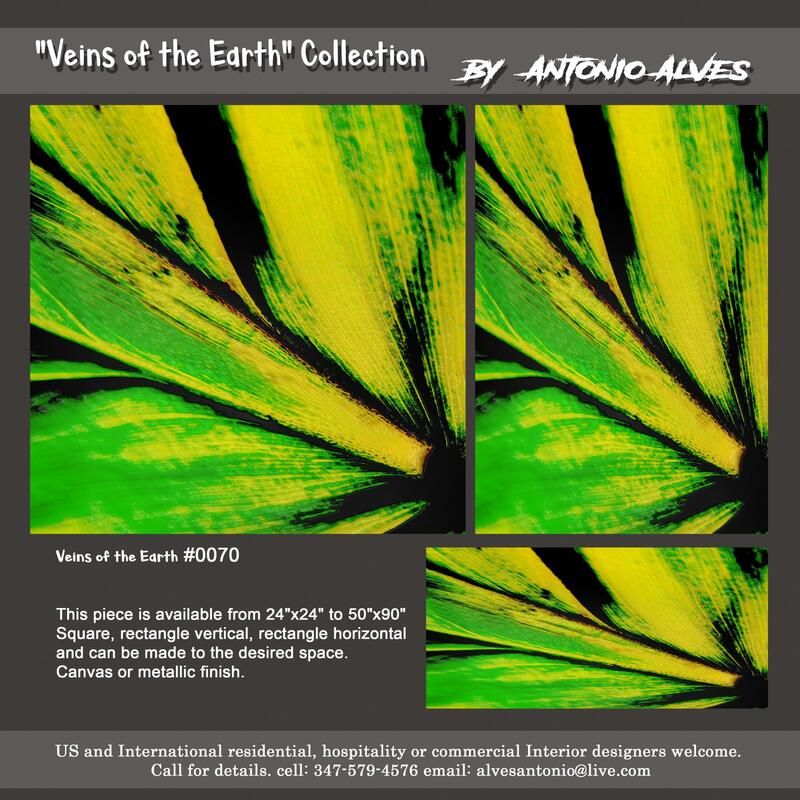 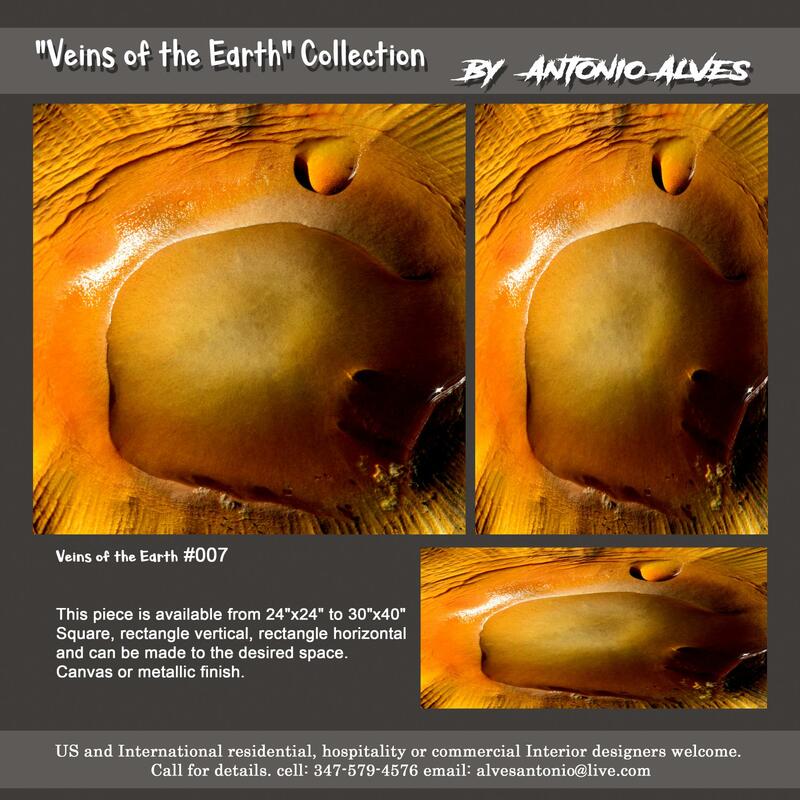 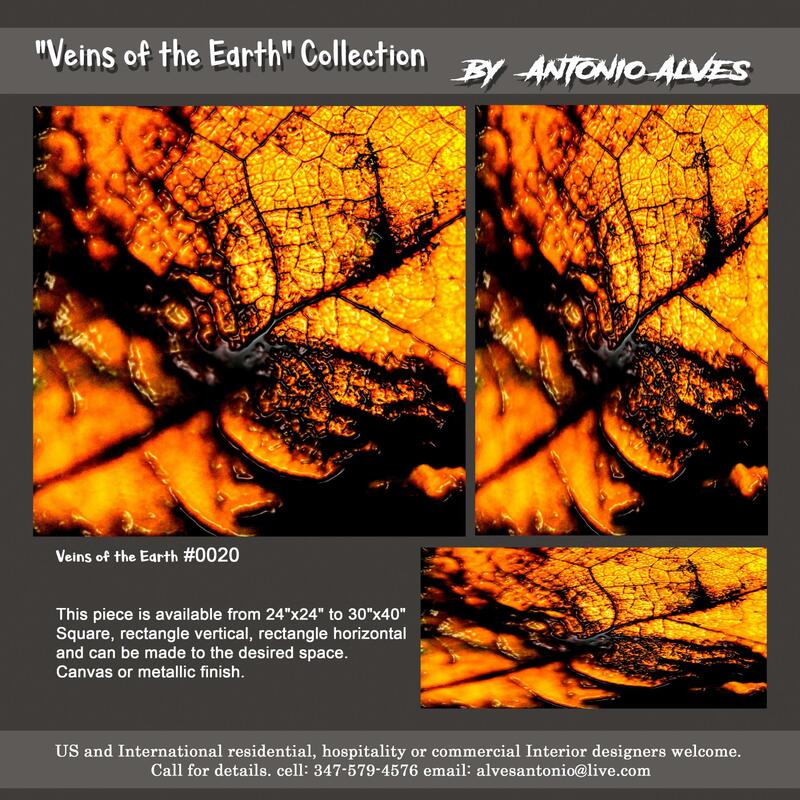 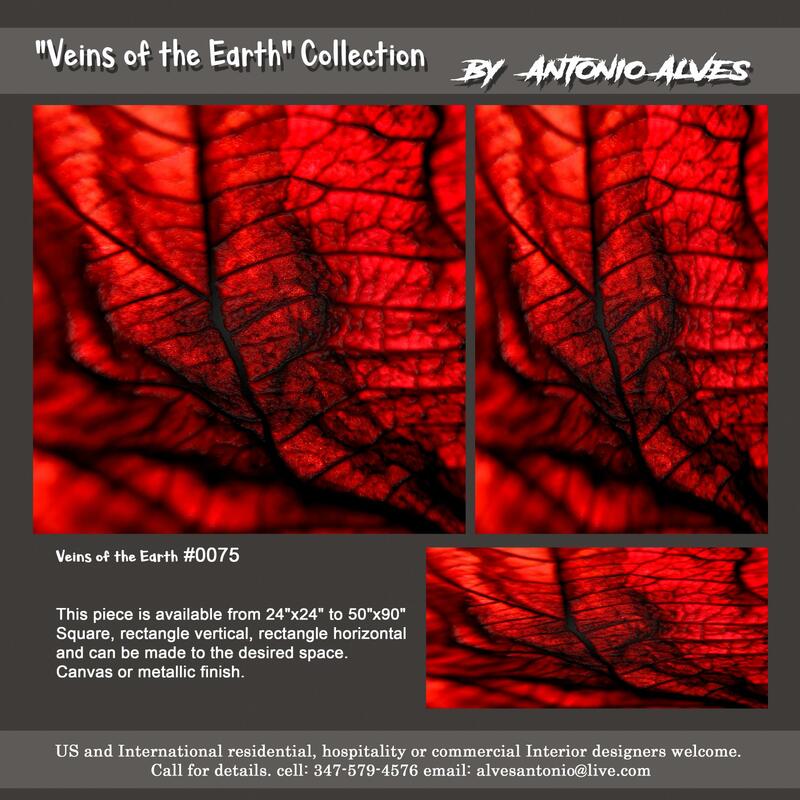 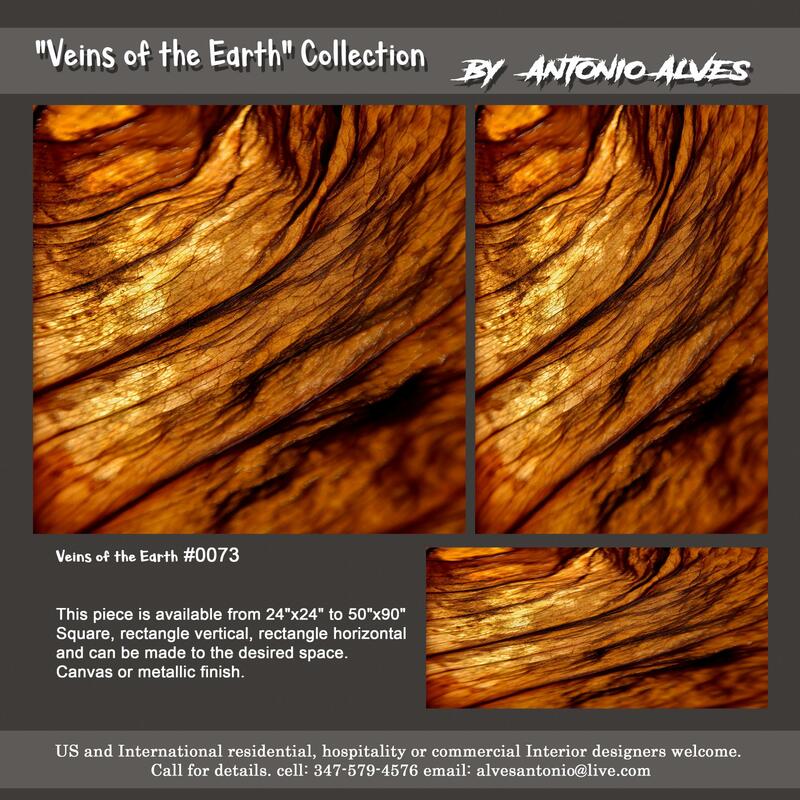 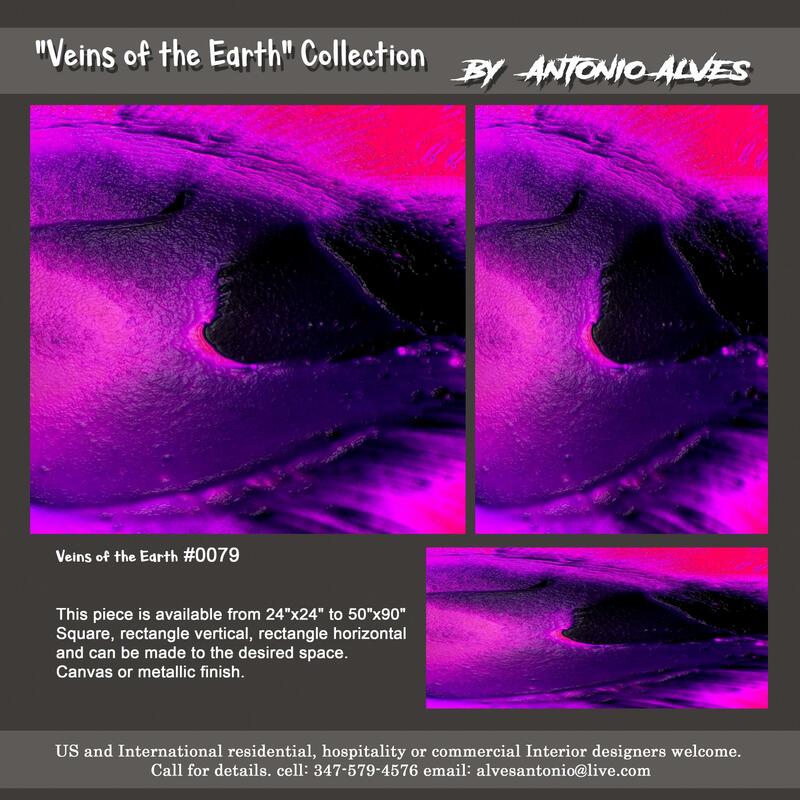 "Veins of the Earth" Collection Virtual Catalog.